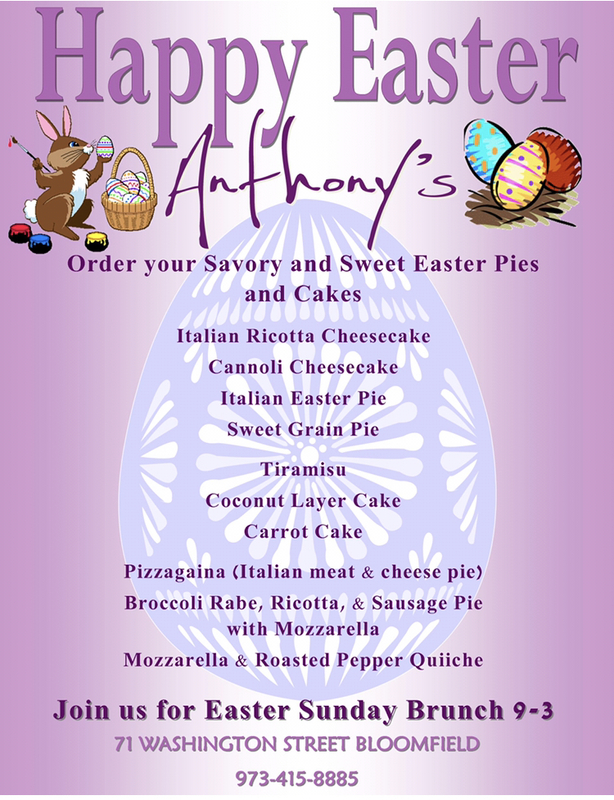 Anthony’s Cheesecake believes that cooking with the freshest ingredients gives you the best results. That’s why we make all of our dishes from scratch when you order them. Our menu changes every single day depending on what’s fresh and in season. Check our menu daily, or subscribe to our menu newsletter. Either way, we guarantee you will get the best meal in town. our store made pie stuffed with ricotta, mozzarella, proscuitto, italian sausage, salami, cappicola, provolone, pecorino romano and fresh herbs. Authentic costa rican tamale with masa and rice topped with over easy egg and served with house made empanada. Homemade and freshly baked, served by the slice. A classic! Rich and creamy on our buttery graham cracker crust. Fresh Strawberries and sauce on top of our classic cheesecake.